Debra Leeann Wilson was born in Montreal, Quebec, Canada. Her interest in art, reading and travel began at an early age. In 1971, her family moved to Hamilton, Ontario where she attended enrichment classes and showed promise as a poet. Dedicated to her education, she attended the visual art and music intensive High Schools, Delta Secondary and Hamilton Collegiate Institute. Debra played several instruments and worked in the mediums of painting, drawing, photography and ceramics. In 1981, accepted to the BFA program in Studio Arts at Concordia University, she returned to Montreal. In 1985, receiving a bursary from the Quebec Ministry of Education, Debra studied photography with Michel Campeau and painting with John Fox and David Bolduc. In her third undergraduate year, she studied independently with renowned Canadian Minimalist, Guido Molinari and completed her degree in 1989. Debra's early paintings were abstract, expressionistic and at times symbolic. Debra began to exhibit her work in Montreal and Toronto shortly after graduation. Her paintings are found in private collections in Canada, the United States, and abroad. Debra has traveled throughout Europe, South, Central and North America, painting, researching diverse landscapes, ancient civilizations, and art history, while visiting museums, galleries and artist studios. From 1995 to 1997 she frequently stayed in Manhattan, researching American artists and studying with Bruno Andrade, painter and Professor of Art at Texas A & M University, Corpus Christi. At that point, Debra decided to return to graduate school. Her paintings focused on nature and landscape and became more figurative. Living in Munich Germany from 1997 through 1999 enabled her to experience European history and culture, as well as the works of the masters and contemporary European artists. Debra's work explored her ideas and experiences of nature, landscape, landscape painting and travel. Deeply inspired she painted prolifically, producing a vast portfolio, which resulted in her acceptance to graduate school in the United States. Recipient of a Mount Royal Graduate Scholarship 1999 - 2001, Debra studied at the Maryland Institute College of Art in Baltimore, under Babe Shapiro, Hermine Ford, Steve Keister, Salvatore Scarpitta, Dennis Farber, and John Yau. She also pursued a teaching apprenticeship in undergraduate painting with Michael Economos and Timothy App. 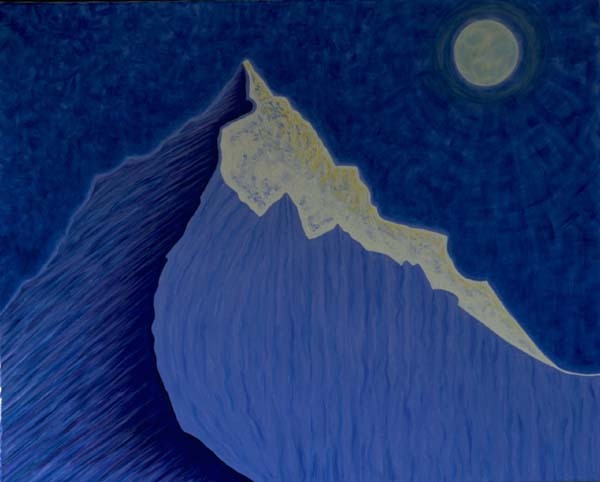 During her stay in Maryland, Debra exhibited her paintings in many group shows at the school and was awarded first prize for the cover of the Maryland Institute College of Art Continuing Studies Catalog (spring 2000 issue). Her paintings also appeared in outside institution and gallery exhibitions, which included a Best of Show Award. Upon completion of her MFA degree, Debra returned to her home base in Montreal where she continues to exhibit her work internationally, travel and teach.